О сайте Residency in Pediatrics, Kaplan Hospital. Head of Department: Prof. S. Levin. Basic Sciences: Allergy & Immunology, Weizman Institute of Science (Rehovot). Subject: Histamine release by neurotransmitters, from basophils & rat peritoneal mast cells. Apr. 1985 Boston University School of Medicine. Supervisor: Prof. A. Milunsky. Aug. 1986 Biochemistry, Boston University School of Medicine. Supervisor: Prof. M. Schweber. Subject: Use of recombinant DNA techniques for prenatal diagnosis of Down Syndrome. Образование Pre-medical studies at the Siena University Medical School (Italy). 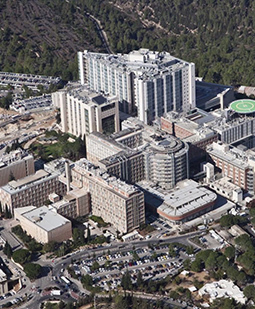 Medical studies at the Tel Aviv University – Sackler Medical School. M.D. Thesis: Adenoidectomy & myringostomy versus myringotomy and tubes, for secretory otitis media. Supervisor: Dr. G. Marshak. Internship, Kaplan Hospital (Affiliate to the Hebrew University, Medical School), Rehovot, Israel. M.D. degree, Tel Aviv University. Участие в организациях Fellowship in Clinical Human Genetics, Clinical Genetics Unit, Kaplan Hospital.